“Scârț” is in itself a quirky name for a bar. It’s such a good name, that we can’t even translate it for you. We could translate it as “squeak”, but that would only cover about 50% of the meaning. But if you are around, you could try to get a decent translation! We dare you! The “loc lejer” part is the easy one: it basically means casual place. And this is indeed a casual place! Feel free to come here whenever you have spare time, to enjoy a drink and talk to the locals. Both the owners and the usual clientele are open-minded and friendly people. If you’re visiting alone, you can bring your laptop so that you don’t get bored – though that shouldn’t be a problem. But we’ve seen people work from here before, it’s that casual that nobody minds. As for the bar itself, one piece of advice: Don’t expect anything neat and tidy. The place is a beautiful messy kitschy place. It’s like somebody dropped different pieces of furniture and decorations from 10 different apartments here. In a nice way. You’ll have to check it out for yourselves to see what we mean. Did we mention they also have a really nice garden? If you visit in the summertime, you will be able to sip your beer in their lush garden. And it’s lovely! Just imagine chilling in your grandma’s old garden with a bunch of other people around. Ah, yet another beautiful mess! In short, this is an “alternative” museum worth a visit when in Timișoara. Ironically, if you search for it on TripAdvisor it has better reviews than our “traditional” museums. Located in the same house as Scârț, but in the basement, the Communist Consumers Museum is dedicated to those things that Romanians owned during the communist regime. This may come as a shock to those who have not experienced communism, but back then Romanian homes were scarily similar, as Romanians had limited access to all sorts of goods. We have already talked about the museum in our article about the best museums in Timișoara, so we are not going to get into too much detail again. Visiting the museum is free, but donations are welcome! Hint: there are three piggie-banks right at the entrance. If you understand some Romanian and want the explore the local theatre scene, then do book a spot for one of these guys’ shows. Some of the guys behind the Auăleu theatre group are the ones who have founded Scârț (and later the Communist Consumers’ Museum). So it was actually theatre first, beer later. Enjoyed this article?! Feel free to follow us for more tips on what to visit in and around Timisoara. Any questions or suggestions just hit the contact button and we’d be happy to chat! We’ve written about our favorite music festivals in the area before, but since we have a lot of information to share, we will be dedicating special articles to some of the events we love: like JazzTM. Our favorite local jazz festival will take place on the first weekend of July, so don’t make any plans! JazztTM will take place between June 29th and July 1st. Wondering how much this fantastic jazz event will cost you? We have great news: it’s free! You’ll just have to get here! (And maybe find some accommodation, food, and drinks). 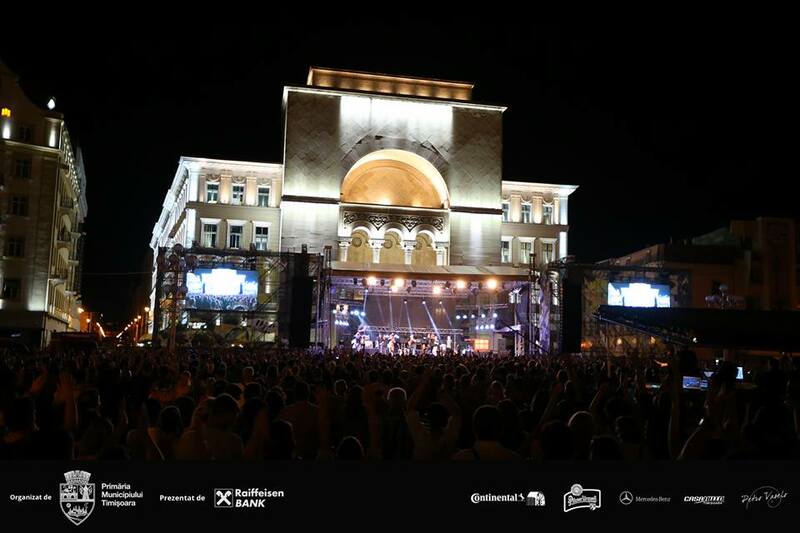 The festival is organized by the Timisoara City Hall and it is completely free to attend by music lovers. The festival’s goal is to make quality music accessible to everybody. The event takes place every year with a main stage in the Opera Square and usually draws in a great number of people from all walks of life. It is a very interesting experiment, after all, that proves that music should be available to everyone, as it can touch everyone. The festival will be reaching its 6th edition in 2018 (June 29th – July 1st 2018), being one of the “trademarks” of Timisoara. Previous editions have brought to Timisoara big industry names like Richard Bona, Kurt Elling, David Murray şi Macy Gray, Terri Lyne Carrington / Lizz Wright, Al Jarreau, The Cat Empire, Anoushka Shankar, Dianne Reeves, Liv Warfield w/ Prince’s NPG Hornz, The Ruff Pack, Marcus Miller, DeeDee Bridgewater, Dhafer Youssef, Imany, Jacob Collier, BadBadNotGood, The Chick Corea Elektric Band, Miles Mosley x The West Coast Get Down, Christian Scott aTunde Adjuah și Monty Alexander etc. In 2018, JazzTM will be hosting as many as 5 stages: the main stage in the Opera Square, three additional stages and a series of afterparty events (“nocturnal jams”). As for the names that will enchant us this year, the top names are: The Cinematic Orchestra, Gregory Porter, and Kurt Rosenwinkel. This “top 3” list is however accompanied by several interesting musicians, some of whom are Romanian: Bariș Demirel, The Jam Community, Sorin Zlat Trio, Krisper, B.A.U. and Trompetre. In case you aren’t familiar with this music, we encourage you to listen to these artists. You will most likely find something to your liking in this list. Check out the full program on the event website, here. 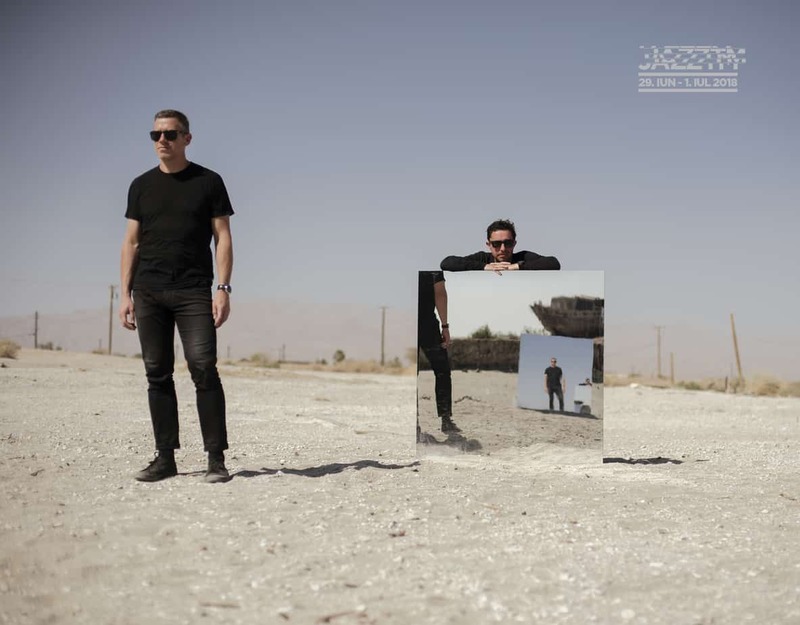 The Cinematic Orchestra, nujazz pioneers, are a group formed by Jason Swinscoe in 1999. It has since become one of the most respected British bands in the last 19 years. TCO have played “sold-out” at the Royal Albert Hall (twice), as well as at the Sydney Opera House. They participated in countless festivals all over the world. Gregory Porter, an artist whose music is both timeless and current, has had a remarkable career, starting with his sensational debut with “Liquid Spirit” (2013) that quickly became a global phenomenon and the most-listened-to jazz album online (20 million hits). The album received the platinum disc in the UK and Germany and the golden disc in France, the Netherlands and Austria. Kurt Rosenwinkel’s career spans over the last 25 years. During these years, he has had numerous collaborations with amazing artists like Brad Mehldau, Brian Blade, Mark Turner, Joshua Redman, Chris Potter and jazz legends like Joe Henderson, Paul Motian, and Gary Burton. Kurt Rosenwinkel is one of the most influential guitarists of his generation. with major influences of Brazilian music; its production lasted ten years. Are you impressed yet?! See you in July? We hope so! In case you’re as excited about music festivals as we are, follow us on Facebook or Instagram for more updates! We will try to provide you updated information on the most popular music events in the area. If you would like to indulge in an evening of good food and good wine, then this is the right place! You can find Vinto right in the “heart” of Timisoara, near the Union Square, where most of the fun happens during the weekend. Paired food and wine. This is probably what’s more interesting about Vinto – their menu includes pairings of food and drinks. If you’re not sure what to have, you can just ask for advice – the people know both their wine and their food. Vinto offers an impressive amount of wine to choose from and tasty interesting food. 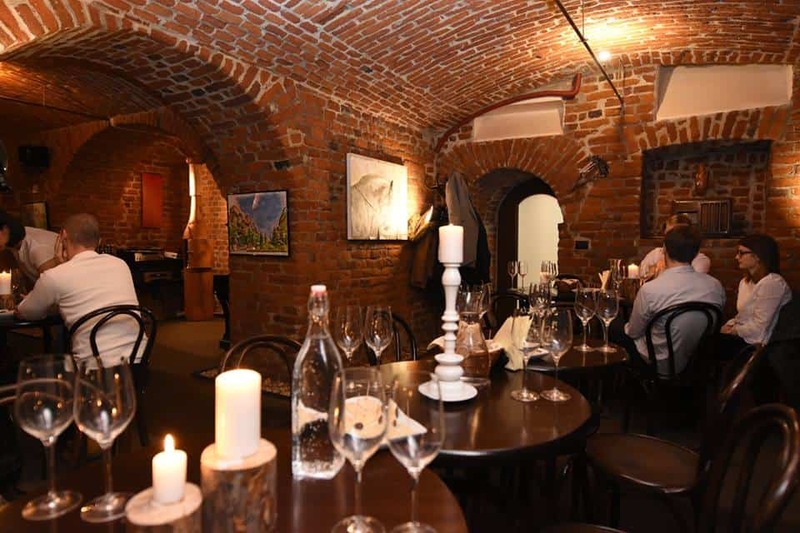 Enoteca de Savoya is a traditional “wine place” and it is the oldest place in this city with this profile. 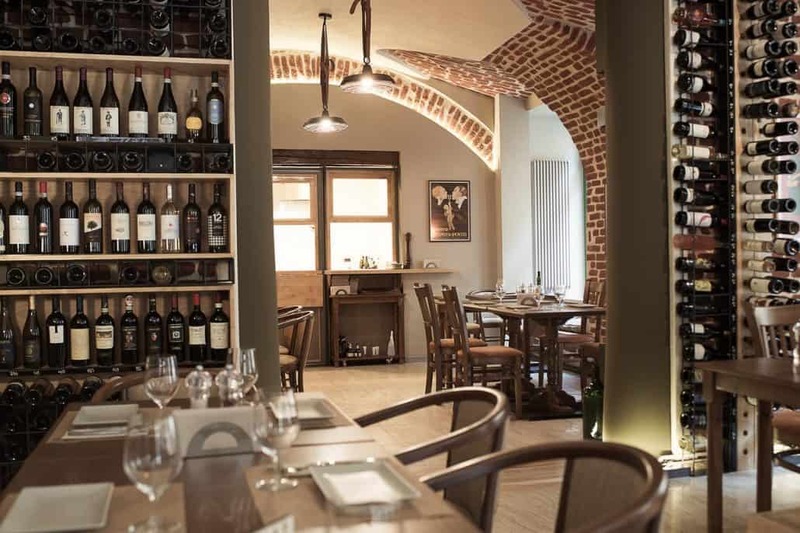 You can pay a visit to Enoteca de Savoya to enjoy a glass of wine, to buy a bottle of wine, or to attend one of the regular wine tastings that they organise. They regularly organise all kind of events, so it might be a good idea to check before heading there. A lot of wine. Wine tastings. A lot of space and friendly people. Wine and cheese. Do go there to enjoy an evening with friends and wine. Yes, there is a guy behind “the wine guy”! And this is a guy who knows his wine! (too much word play?!) Anyway, “The Wine Guy” is another one of the top places in town where you can find good wine. You can go there to get recommendations to buy wine or to actually have a glass of wine. Beware, the place is quite small – only a few tables available. But they also organise wine tastings regularly. These are usually booked in advance, as we have a lot of wine lovers in town. Small, but cute and cosy. Knowledgeable wine guy. Good wine for all budgets. If you are traveling to Timisoara at the beginning of August and you’re a festival lover, you might want to change your plans – or just improve them. Sziget Festival one of the biggest festivals in Europe and this year it will take place between 8-15 August. They have just announced headliners and, yes, they are big! And did we mention the location is just 3.5 hours away from Timisoara?! If you don’t know the festival we can tell you it started off as a student festival in 1993 and now it became one of the biggest festivals in Europe. It was also the two-time winner of the European Festival Awards in the Best Major European festival category. The first names have just been announced a few days ago on the Sziget Festival Official Facebook page and website and there will be more to come in the upcoming period. The festival takes place on an island and so all of the activities take place on this island. And we are pretty sure you won’t get bored! It’s worth mentioning that in 2017 you had 8 stages to pick from. And if one day you just feel like chilling in the sun and working on your tan, there’s a beach there! As far as accommodation is concerned, you have two options: either stay in Budapest (but make sure you book something in advance – otherwise you might be left out) or buy a camping ticket from the Sziget Festival website (the basic camping is included in the 3-day, 5-day, and 7-day pass). You can even bring your own caravan or rent a house. You have 6 campings to pick from, and they even have a family camping which is kid-friendly. The really early-bird tickets are already sold out but you can still find tickets at an affordable price, on the Sziget Festival official website. If you’re still not convinced, see below the 2017 Official After Movie. And stay tuned for the next announcement, we are pretty sure that the best is yet to come! In any case, if plan on staying in Timisoara, check some of our local festivals which take place this year. https://timisoaratourism.com/wp-content/uploads/2018/02/CSS-3290.jpg 924 1386 TimisoaraTourism https://timisoaratourism.com/wp-content/uploads/2018/12/LogoTMT.png TimisoaraTourism2018-02-05 22:22:492018-02-06 11:22:52Sziget Festival just announced their first headliners and they are BIG! 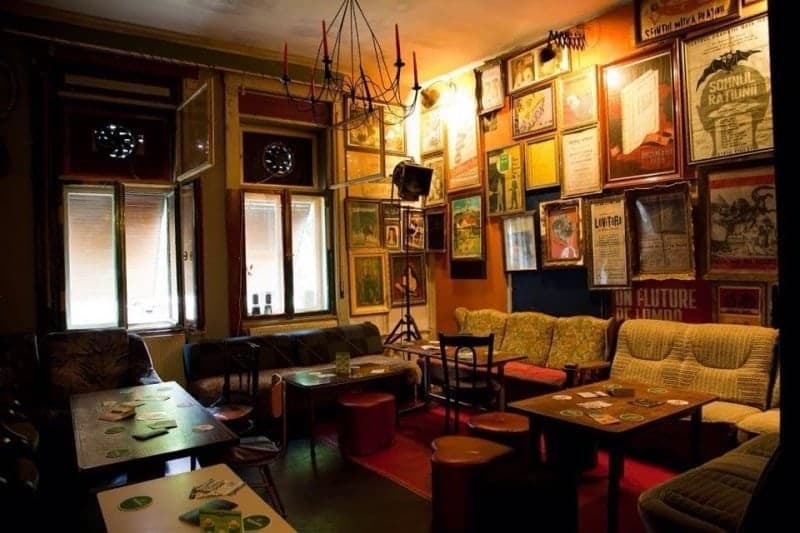 While Timisoara has a lot to offer when it comes to pubs and bars for tourists, there are also places known mostly by the locals. If you are the kind of traveler who likes to discover these hidden gems when traveling to a new city, you know what we are talking about. And if you fall into this category of people and are also a vinyl music lover, Viniloteca is the place for you. The concept: Viniloteca is the place where craft beer and pieces of vinyl go hand in hand. Opened in 2015, Viniloteca is both a vinyl shop and a pub. The main attraction here is represented by the very impressive vinyl collection. And, of course, customers can choose what to listen to while enjoying a cold craft beer.At the moment they own a collection of over 600 vinyl records and serve over 100 types of craft beers from all over the world. The music: The music here is delightful for the soul. In Viniloteca, you will hear a vast variety of music, from 20s music, up to the most recent releases from 2017. The music here covers most music genres, from Jazz, Rock, Reggae, Dub to Funk, Hip-Hop, Electronic and many more. As a music lover, you will surely find something to your liking here. And it gets better! If you like the music, you can actually buy the vinyl records that are on display! The price for a second-hand vinyl starts at 15 Euros, while the most expensive ones are around 50 euros. The beer: It’s said that every beer has a story and the guys from Viniloteca certainly know which beers to pick. As we’ve mentioned before, vinyl records and craft beer go hand in hand. You can choose from over 50 brands of craft beer from all over the world. Whether you like ginger or raspberry flavors, black or blond beer, or any other combination, you will certainly find something for your taste. If you are not sure what to order, just ask the bartender. He will definitely recommend you something. During our last visit at Viniloteca, he mentioned that he had drunk over 2000 different kinds of beer so far; and he never drinks the same several times. If you want our recommendation, it’s “Bereta”, a craft beer made by some folks here in Timisoara. They always produce different kinds of craft beer, never repeating the same recipe twice. Viniloteca’s customers are different from the mainstream public – vinyl lovers are just different. It takes one to know one, maybe. But the people that normally hang out here come from different backgrounds: they may be musicians, artists, writers, photographers, programmers, designers or freelancers. But this is a good thing, as you can meet people with similar tastes to yours. If you like vinyl and craft beer, this is the place for you.